After the disappointment of not seeing any new Google-branded hardware at the I/O event earlier this month there's still hope that we'll see a rebooted version of the search giant's popular Nexus 7 tablet soon. The latest news comes via the regularly hit-and-miss Taiwanese site Digitimes, which claims electronics manufacturer Elan Microelectronics has started shipping touchscreen circuit boards for the new Nexus 7. Apparently this is ahead of the tablet's July launch, although this date has been plucked from the site's "industry sources" which doesn't exactly fill us with confidence. A clean slate for new Android? 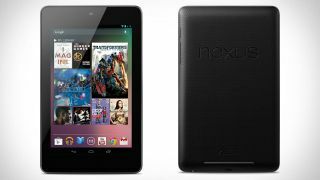 Other rumours suggest the new Nexus 7 tablet will arrive sporting a brand new version of Google's mobile operating system, dubbed Android 4.3 Jelly Bean. It's also thought the tablet will get a boost in screen resolution, larger storage options and a beefier processor while retaining its highly reasonable price tag. There's been no word from Google on any of its upcoming products so we're just going to have to wait and see what happens in July.